This OTA update started to roll out yesterday and it brings different changes to the two handsets, while OnePlus One users still have to get their update. 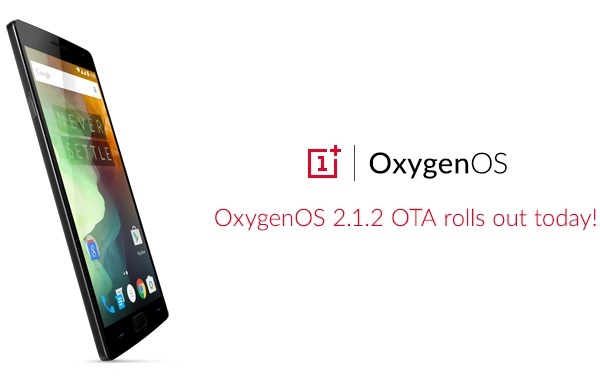 OnePlus unleashed yesterday a new version of its OxygenOS mobile operating system for two notorious handsets. Strange enough, they mentioned that OxygenOS 2.1.2 brings different changes to the OnePlus 2 and OnePlus X, although they apparently get the same version. Next to the usual security patches, "general bug fixes and performance improvements," the OnePlus 2 gets Russian and Turkish language support, lock screen wallpaper, improved UX for camera preview, individual icon customization, as well as RAW format fixes for third party apps. OxygenOS 2.1.2 brings the following changes to OnePlus X users: first, the general fixes and improvements, but apparently no security patches, and then UX bug fixes in the camera app, low battery state optimizations, as well as improvement to color offset in HDR mode. Since more OnePlus X users reported issues with the microSD, OnePlus promised to address this problem soon in a minor update. OxygenOS 2.1.2 is an incremental OTA update, so if your handset did not display the notification yet, it should happen in a few days. Obviously, those in a hurry can use the manual check as usual.